After six years at Devonshire Green, Tramlines Festival will move its main stage to Ponderosa Park. As the demand for tickets grows – and with the main stage frequently hitting capacity on Devonshire Green year after year – festival organisers have responded by moving the stage to Ponderosa Park, where there will be much more space. This week headliners for Tramlines 2015 were announced to be The Charlatans, Basement Jaxx and Wu-Tang Clan; topping the bill alongside the likes of The Buzzcocks, Martha Reeves, Sugarhill Gang, Melle Mel, Kate Tempest, Slaves, Gostpoet and mainy more. The festival will see over 200 acts take to stages in 17 venues across the city. The festival will still be using the Devonshire Green area in addition to the Main Stage. 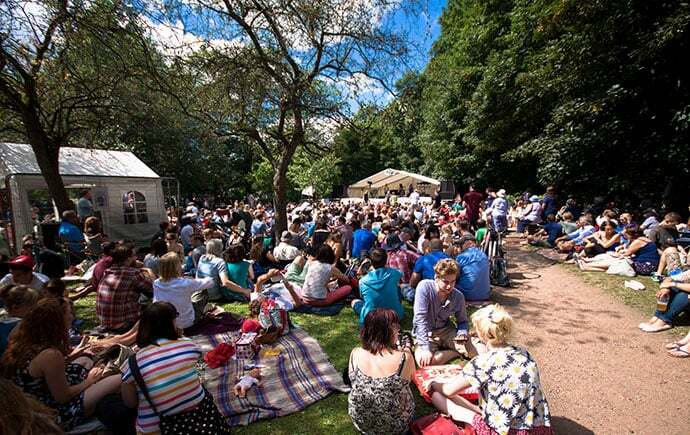 Other Tramlines 2015 sites include Endcliffe Park’s Folk Forest and the Cathedral Stage among areas like Kelham Island, Peace Gardens, Barkers Pool and various bars and live venues throughout the city. Weekend tickets are now on sale for £30 and under 12’s go free. See www.tramlines.org.uk for more information and tickets. For more Tramlines 2015 news and updates, head here and follow us on Twitter @ExposedMagSheff and Facebook here.